Groundwater resources in some parts of the lower section of the Shire River valley, Malawi, are not potable for rural domestic water supply due to high salinity. 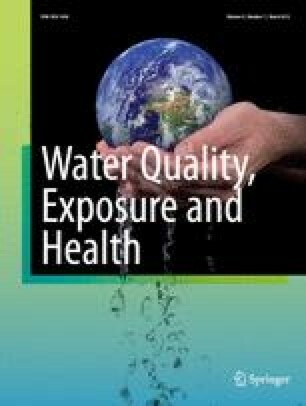 Knowledge of spatial variation of water quality is essential in locating and sustaining usable water supplies. In this study, a comprehensive assessment of the quality of groundwater from the area has been conducted to establish a spatial variation of major ions and general groundwater quality. World Health Organisation (WHO) guidelines for sodium (200 mg/l), chloride (250 mg/l), sulphate (250 mg/l), magnesium (30 mg/l) and calcium (75 mg/l) in drinking water were exceeded by 42%, 29%, 15%, 70% and 53% for all groundwater samples, respectively. The concentrations of analysed solutes are very wide in range, suggesting that the hydrochemistry is controlled by several intermixed processes such as saline water mixing and water–rock interaction. Based on the interpretation of the cumulative probability curve for TDS content, groundwater samples are grouped into three groups, as follows: (1) Group 1 waters (51%) that are relatively poor in Cl−, representing fresh groundwater affected mainly by weathering reactions; (2) Group 2 waters (45%) relatively enriched in Cl−, indicating considerable effects of rock-water interaction and mixing with saline water; (3) Group 3 waters (4%) enriched in Cl−, representing the saline groundwater resources. High total hardness (TH) and total dissolved solids (TDS) (in several places) render the groundwater, in large sections of the study area, unsuitable for domestic and irrigation purposes. Results reported in this study provide baseline data towards the utility of groundwater resources in the area.